Of course, that was even before Joe joined the Eagles and made indelible contributions to the great American pop culture canon on such songs as “Hotel California” and “Life in the Fast Lane,” and, more recently, became an honorary member of the Foo Fighters. Joe Fidler Walsh was born in Wichita, Kansas, on November 20, 1947. His mother was an avid piano player who brought music into the family’s humble home before Joe was old enough to discover rock n’ roll on the radio. When Joe was still young, he and his family relocated to Ohio, New York City, and then Montclair, New Jersey. In 1965 Joe landed back in Ohio at Kent State University, where his professional music career began in coffee shops and bars. Though Joe had played guitar in a high school cover band and a popular Kent bar band, he really came into his own in 1968, when he joined the Cleveland-based James Gang. One night in May, 1968, on the way to Detroit for a show at the Grande Ballroom opening for Cream, half the band quit. Needing the money to pay for gas to get home, the James Gang took the stage as a trio, and Joe was forced to learn on the fly how to carry rhythm and lead duties simultaneously. It proved a revelation. Permanently reconfigured as a trio, the James Gang quickly developed a huge following in the Midwest and landed a record deal, leading to a 1969 debut album, Yer’ Album, that became an FM radio staple and drew the ears of guitar aficionados like Pete Townshend—who personally invited Joe and the James Gang to join the Who on tour. Townshend regarded Joe “a fluid and intelligent player” with few peers. 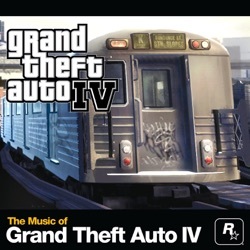 Soon the American public caught up in a big way, as the James Gang scored hits with singles like “Funk #49” and “Walk Away” and gold certifications for the albums James Gang Rides Again (1970) and Thirds (1971) before Joe’s departure following the landmark 1971 live album, Live in Concert, recorded at New York City’s Carnegie Hall. Even so, when the Eagles asked Joe to join, he jumped at the chance. He and the members of the band had already been jamming and writing together as part of the magically fertile LA scene, and now he was able to bring his rock edge to the vocal harmonies he loved so much in the Eagles. The result was lightning in a bottle, and the new lineup of the Eagles defined an entire era with Hotel California. 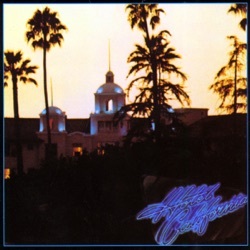 The album took the already-successful band to dazzling new heights: Hotel California went on to sell over 50 million copies and the title track won the band a Grammy® for Record of the Year. Joe’s presence also transformed the band as a concert experience, adding his harder-edged solo songs to the live repertoire. 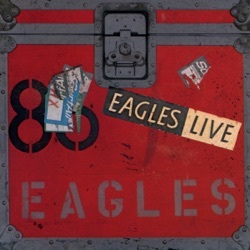 As the recording of the Eagles’ follow-up album dragged on, Joe recorded and released a solo album, 1978’s But Seriously Folks…, which spawned his signature send-up of the rock and roll lifestyle, “Life’s Been Good.” During the same period he recorded “In the City” for the soundtrack of the film “The Warriors.” That track was also re-recorded for the Eagles album that finally emerged in late 1979, The Long Run. 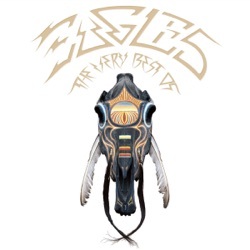 Despite the success of The Long Run, which included three top ten hits and won the band another Grammy®, the extremes of being the biggest band in the land took its toll: the Eagles ground to a halt in 1980 and eventually confirmed they had split up. Newly sober, Joe teamed up with Don, Glenn, and Timothy B. Schmit to reform the Eagles in 1994. Pent-up demand for the band led to ten years of record- breaking tours. And when in 2007 they recorded a new studio album, Long Road Out of Eden, it reached a staggering six-time platinum status long after the industry had pronounced the album form dead. The reformation of the Eagles coincided with a new musical beginning for Joe, leading to one of the most fertile periods of his career. In addition to all the activity with the Eagles, Joe embarked on a James Gang reunion (originally at the behest of then-President Bill Clinton), released a 2012 solo album, Analog Man, that resonated with fans and concert audiences, and found himself in high demand as a collaborator, producer, and guest musician. Among the highlights: he played alongside Paul McCartney and Bruce Springsteen in the closing jam at the 2012 Grammy® Awards, he took part in the 2014 CBS TV special commemorating the 60th anniversary of the Beatles first appearance on US television, and he appeared on the Foo Fighters 2014 Sonic Highways album and the corresponding TV episode documenting its creation. Those are the most transcendent moments for a musician—and for the audience there to witness it—and this is where Joe Walsh finds himself today.